The economy is suffering one of its worst recessions in decades and the credit markets are in crisis. The federal government has enacted unprecedented legislation authorizing a $700 billion bailout of financial institutions. Economic experts have widely different opinions respecting how the national and global economy will respond to the bailout plan. While you may share these macro-economic concerns, we also know you may have questions about how the economic downturn and financial crisis could affect your business and what you can do to cushion the impact. To be sure, our economy is in serious peril, and it is wise to maneuver this new landscape with caution and care. However, as with any crisis, there are also numerous opportunities – if you know where to look and how to respond when you find one. We at Meyer, Suozzi, English & Klein, P.C., want to help. We understand the problems the economy poses to your business and we can offer practical solutions. Read on to see how we can address some of the crisis-related questions our other clients have been asking. Q. When companies that owe me money (debtors) go bankrupt, how can I maximize the recovery on my claims? A. When companies that owe you money file for bankruptcy, you may need to file a proof of claim to be eligible to receive a distribution on account of your claim. In most instances, creditors are provided with a form to fill out and return. However, even this seemingly simple process is filled with potential pitfalls. For example, filing a proof of claim even one day after the deadline can result in your losing any right to receive a distribution on your claim. The Bankruptcy Code gives special treatment to certain claims, commonly referred to as priority claims. Priority claims often are paid in full while creditors holding only general unsecured claims receive modest distributions. Creditors filing a proof of claim can lose priority treatment if they fail to properly identify such entitlement on the claim form. Certain priorities are particularly important to business creditors, including a priority claim for goods delivered within 20 days before the bankruptcy filing. In addition, certain valuable rights can become worthless unless the creditor acts quickly (for example, the right to “reclaim” or recover goods shipped just prior to the bankruptcy filing). Other valuable rights are at risk of being overlooked altogether (for example, the right to set-off mutual debts). Q. Is it possible to sell my claim for cash if I need liquidity? You might also be able to sell your claim in the ever-growing claim trading market that has developed in the last several years, particularly in larger bankruptcy cases. Selling a claim will avoid the uncertainty of whether you will receive a distribution on your claim and how much. Selling also avoids the long delay often associated with receiving a distribution. However, this unregulated market has certain hidden dangers. Buyers of claims are looking to profit by paying less for a claim than may ultimately be distributed by the debtor on account of the claim. To that end, claims traders may exaggerate the risks of holding a claim. Moreover, as claims prices are not reported (such as in the case of publicly traded stocks or bonds), it may be difficult to determine whether you are receiving the going market price for your claim. Q. What should I do if I’m selected to be on the debtor’s official “creditors committee?” What are the pros and cons — and the rights and responsibilities — of being part of a creditors committee? A. The main benefit of being part of the committee process is that it gives you an opportunity to help increase recoveries for creditors and to be in the information loop in the case. On the other side of the ledger are time commitments and the responsibility of protecting the interests of creditors as a whole, as opposed to protecting only your interests. If you are so unfortunate to have a large enough claim that you are selected to be on the debtor’s official ‘creditors committee,’ our bankruptcy attorneys can help you weigh the costs and benefits of accepting the appointment, and advise you about your rights and responsibilities as a committee member if you do accept. Q. Under what circumstances can the debtor sue me, the creditor, and how can I minimize such risk? Also, what is a “preference” claim and the odds that I will find myself facing that situation? A. Bankruptcy not only means that you may not recover amounts owed to you, but also presents a risk that you will be sued by the debtor or its trustee. Debtors and their trustees often sue creditors to recover payments made to them in the 90 days before the bankruptcy filing (so called “preferences”). There are many defenses to preference liability, both statutory and judge-made. For instance, payments received by a fully secured creditor, payments made in the “ordinary course of business,” or those made as part of a contemporaneous exchange (e.g. COD), are usually not recoverable. Preference liability may also be reduced to the extent new credit was given by the creditor to the debtor after payment. It is usually the responsibility of the business being sued to raise these defenses in a timely manner. Also, debtors and their trustees routinely bring ‘fraudulent conveyance’ claims which do not have to–and usually don’t–have anything to do with actual fraud. For example, such claims may be made when an affiliate of the company to whom you sold goods makes the payment owed by such company. There may be ways to structure particular transactions to avoid or minimize the risk of preference or fraudulent conveyance liability in the first place. For instance, sales on credit can be structured as installment sales in which the vendor retains a security interest in the goods. Then, too, sometimes a properly documented consignment arrangement can offer valuable protection. Good business practices, including thorough recordkeeping can be very helpful. If you are sued, our bankruptcy lawyers have defended and prosecuted hundreds of these actions, and are well-experienced to defend you cost-efficiently. Q. What opportunities exist for me when a debtor’s assets and property become available for sale? A. Given the recent changes to our bankruptcy laws and the even more recent credit squeeze affecting so-called debtor in possession or “DIP” financings, true reorganizations are becoming scarce, and many bankruptcy proceedings, even the larger ones, are vehicles for a sale of the debtor or its assets, including real property (leasehold and fee interests), contract rights, equipment, inventory and intellectual property such as customer lists. These sales can present valuable opportunities for you to acquire undervalued assets and to grow your business. Our attorneys can help you maneuver the often complex process of bidding on and acquiring assets out of bankruptcy. Q. What steps should I take if I or one of my affiliates is facing financial difficulty? Is bankruptcy an option I should ever consider? A. If you or one of your affiliates is facing financial difficulty as a result of a short-term liquidity problem or a more general economic downturn, our lawyers can provide you with guidance on the available options, including bankruptcy or out of court debt restructurings and their costs and benefits. A chapter 11 filing does not necessarily mean a death knell for a company and can sometimes be a shrewd business strategy. A business’ prospects of surviving such a restructuring or bankruptcy increase greatly if the business gets legal advice early in its financial difficulties. There are numerous steps that can be taken to avoid a bankruptcy or survive one if there is no other solution. If done correctly and with adequate preparation, a bankruptcy filing can be a useful tool to weather a particular financial problem or a more general economic storm. Q: Are there other ways that your bankruptcy lawyers can help me? General understanding of the bankruptcy laws and processes can help you structure and document your business transactions in a way that will help you survive these hard economic times. Such insight will allow you and your business to stand in the forefront of the next economic recovery. 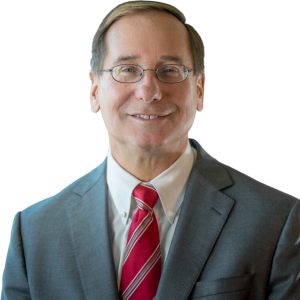 Thomas R. Slome, a member of Meyer, Suozzi, English & Klein, P.C., practices together with Howard Kleinberg, Edward LoBello, and Jil Mazer-Marino in the firm’s bankruptcy, business reorganization and creditors’ rights group located in the Garden City office.